April 6, 2018 - Des-Case Corporation, a manufacturer of specialty filtration products for industrial lubricants, on March 28 announced its acquisition of RMF Systems, an experienced specialist in desiccant breathers, filtration systems, analysis and monitoring solutions to maintain hydraulic oil and lubricant cleanliness. Based in The Netherlands, RMF Systems expands Des-Case's global footprint, especially in Europe. 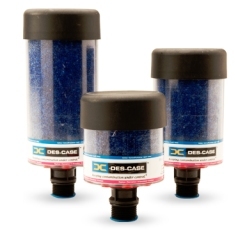 Headquartered near Nashville, Tennessee, Des-Case Corporation manufactures specialty filtration products for industrial lubricants. To learn more, please visit: www.descase.com.